Teresa (Tessa) Smeigh is over 55 and still going strong despite her disabilities affecting both physical and mental abilities. I have bipolar disorder (mental), Fibromyalgia (nerves), degenerative disc disease (spine), and arthritis (joints). Despite that she is active in Mental Health Advocating, writing for www.IBPF.org (volunteer for non-profit) and has 4 blog posts already published by them. She is also working on 2 fiction books (mysteries). She keeps her blog filled with useful content, daily devotionals (She is a Christian), stories and poems. Plenty to keep you busy. She has also been interviewed by blogs and had other posts published on many different blogs. 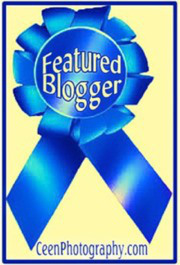 I have 2 blogs so far http://www.tessacandoit.com and http://www.finallyawriter.com and will be starting a Christian blog in the near future. I am from Deptford, NJ. My family and blogs keep me busy. There isn’t much you don’t know about me LOL! I’m pleased to meet you here, Tessa. You write well. Great intro. Happy blogging. Tessa, Love getting to know you.